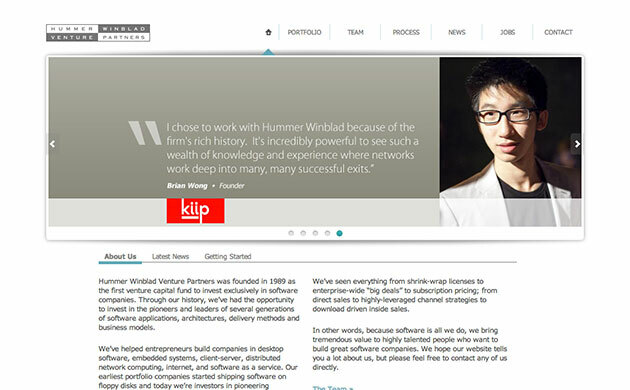 The HummerWinblad website was a project I worked on during my time with DennisonWolfe. They came to us with the kernel of their design idea, but had yet to realize what the entire website was going to look and feel like. My role was to take their initial design ideas and turn it into a clean, professional website that matched their standing in the venture capital world. Many custom programming elements help add a subtle elegance to the overall look and feel of the website.